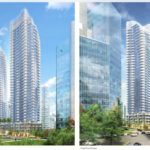 Bosa Properties and Kingswood Properties held an open house Tuesday for their rezoning proposal to build two twin towers in the 1000-block of Barclay Street, between Burrard and Thurlow. 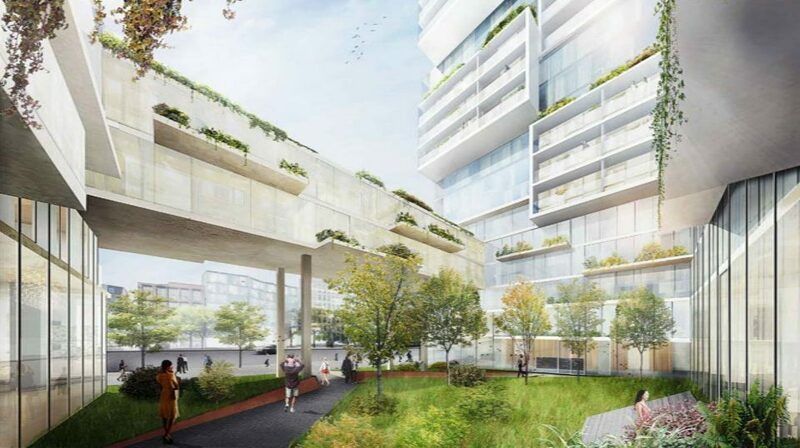 The towers are designed by Büro Ole Scheeren Architects, and are the firm’s second design in North America. 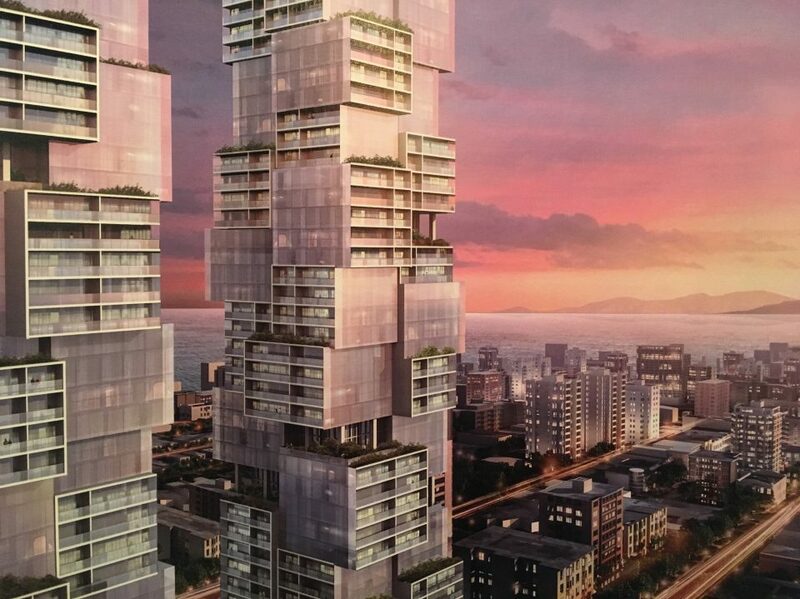 The first is another tower for Bosa and Kingswood, at 1515 Alberni Street. The development on Barclay Street will add 481 condominiums, as well as 162 new social housing units. 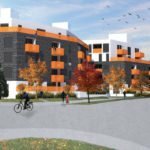 The new social housing units will replace the existing rentals and condos currently on the property, and will be managed by City of Vancouver. There will also be ground-level retail space and indoor and outdoor residential amenity spaces. 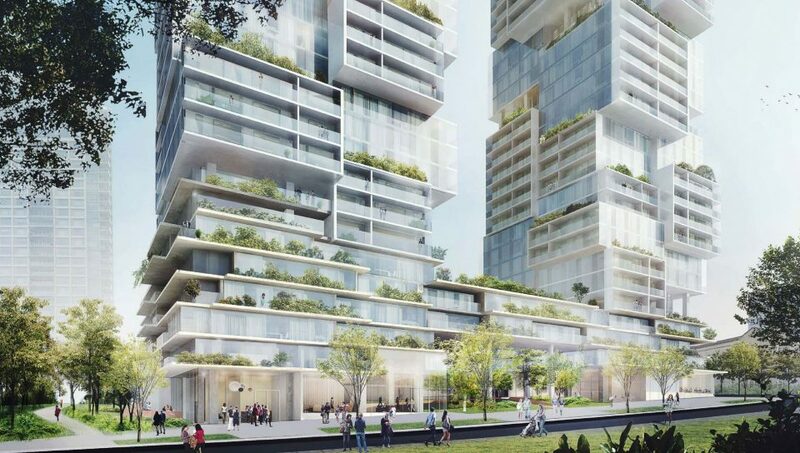 The developers say the vision for the Barclay towers is to create a vertical community, engaging nature and space with a three dimensional volumetric matrix of residential units, plantings, terraces and outdoor sky-yards. 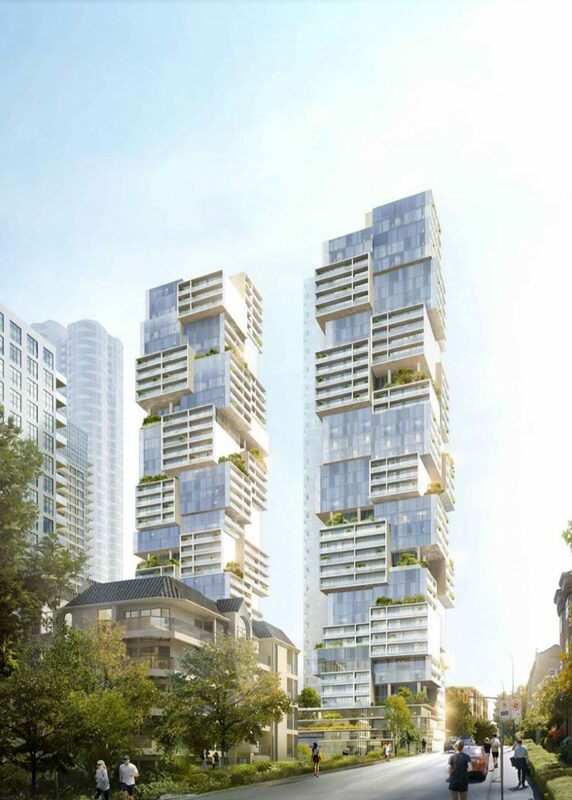 Rendering of the proposal for 1070 Barclay at Thurlow, designed by Büro Ole Scheeren for Bosa Properties. 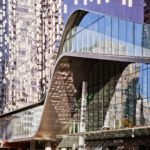 “Our design team and the immense talents of Büro Ole Scheeren have worked to create a tower that provides a series of intimate park spaces throughout the tower, co-mingled with a varied collection of floor plates and façades – the harmony of which creates a stunning architectural language,” said Daryl Simpson, Senior Vice President at Bosa Properties. 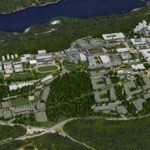 Bosa Properties and Kingswood Properties say they hope to commence construction in 2019. 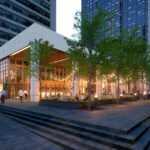 The development is on the same block as another highly anticipated tower by Westbank, The Butterfly. The Bing Thom-designed tower will rise 57 storeys above the First Baptist Church at Burrard and Nelson. 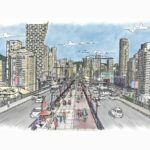 The block, which is at one of the highest points on the downtown peninsula, ensures these new towers will have a dramatic impact on Vancouver’s skyline.